Boxing Day is an excellent day to gather canned foods and warm blankets and jackets for those in need. Donate items that you are no longer using to someone else! Be sure the canned food you donate does not have to be cooked or mixed with other ingredients and be sure to clean your blankets and jackets before giving them away! 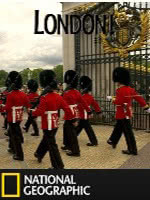 Watch a National Geographic Video about London! Learn about Boxing Day and how it got its name. The story behind Boxing Day!